The Executive Committee (EC) is committed to upholding ACM’s strict policy and procedures against harassment for all members of the ACM SIGGRAPH community. 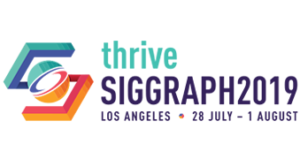 The open exchange of ideas and the freedom of thought and expression are central to the aims and goals of the SIGGRAPH conferences and organization. The volunteers, staff, and contractors of ACM SIGGRAPH commit to providing a harassment-free, accessible, and pleasant conference experience with equity in rights for all. To this end, we are assembling a new committee, ACM SIGGRAPH CARES, comprising of volunteers who will serve as a point-of-contact for our members. This group will help us ensure there is a dedicated resource and support system in place for ACM SIGGRAPH members who have been sexually harassed, or discriminated against due to their race, ethnicity, religion or creed, gender, gender identity, sexual orientation, or any other characteristic protected by law. This committee will operate year-round and will have a presence at both the North American SIGGRAPH and SIGGRAPH Asia conferences. I am thrilled to announce that Alain Chesnais will lead this committee. Alain has been a volunteer for ACM SIGGRAPH for his entire career in graphics. He got his start stuffing envelopes in the Paris chapter back when we communicated with our membership via the mail. Among the many other major volunteer roles that he has taken on since with ACM and ACM SIGGRAPH, he served as ACM President from 2010-2012 and ACM SIGGRAPH President from 2002-2005. Despite these august positions, he maintains a rapport with the student volunteers and other new members of our community that makes him perfectly suited to take on the leadership of ACM SIGGRAPH CARES. Alain is getting the committee up and running quickly and currently seeking volunteers to join him. Interested volunteers should want to have a direct hand in upholding this important policy, and have the skills to help others with care and the utmost discretion. They should be well-informed of ACM’s policy on harassment and the reporting mechanisms offered by ACM. The EC will provide training on how to assist members who have experienced harassment by serving as a sounding board, lending advice and support, and answering questions about policy and procedure. Our goal with the formation of ACM SIGGRAPH CARES is to have a group dedicated to assist people immediately and who can keep a watchful eye for these issues at our conferences. If this is a volunteer role that interests you, please get in touch via siggraph_cares@siggraph.org or www.siggraph.org/cares. The committee members will be available in August at SIGGRAPH 2018 in Vancouver.